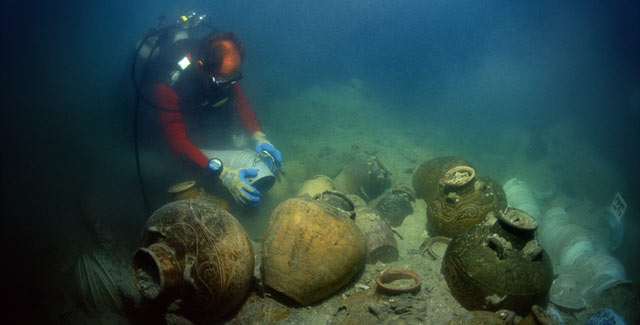 Remnants of the Santa Cruz, a 15th century junk found off the coast of the Philippines. 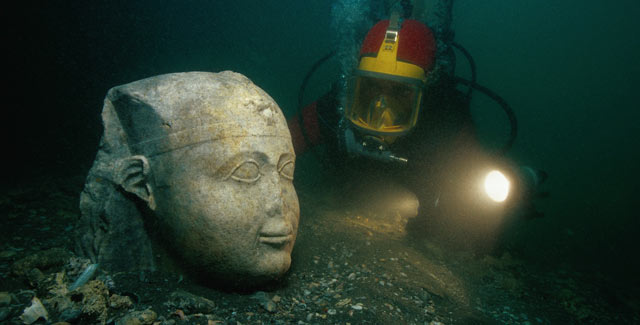 Diver with a portrait of a Pharaoh, Quartzite, 25th dynasty (712-664 BC). 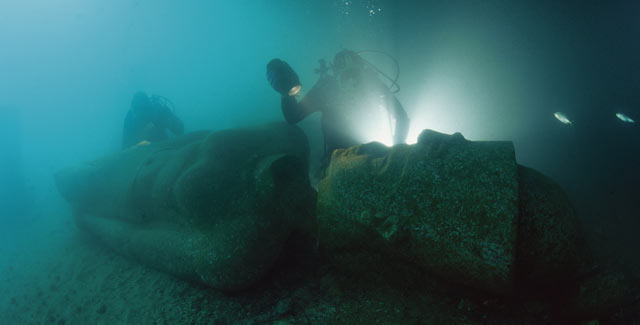 A 5 metres high colossal statue of a pharaoh found in the sunken city of Heracleion. 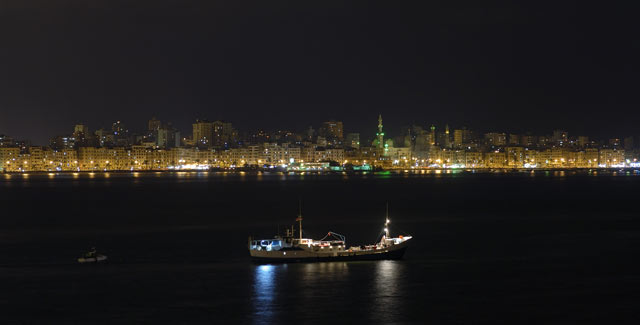 The expedition ship Princess Duda in front of Alexandria’s night skyline. 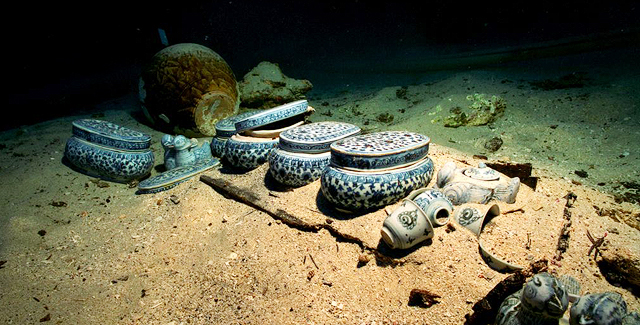 Porcelain dishes in blue and white appear after the sediment has been removed from the wreck of the Lena Shoal junk.